Company on opening: Kenyon & Leigh Railway. Notes: Pennington was situated on the 10½-mile Kenyon Junction and Bolton line. The first section of the line was the Bolton & Leigh Railway (B&L) which was the first public railway to open in Lancashire. The line was authorised on 31 March 1825 and ran from the important manufacturing town of Bolton to the Leigh Branch of the Leeds & Liverpool Canal at Leigh & Bedford. Engineered by George Stephenson the line opened on 28 August 1828 for goods services only. On 5 May 1826 the Liverpool & Manchester Railway (L&M) was authorised and its route passed through Kenyon which was only 2½ miles to the south of Leigh. Both the L&M and the B&L were keen to have a connection between the two lines and to bring this about a separate company, the Kenyon & Leigh Junction Railway (K&LJR) was created. A 2½-mile connecting line was authorised on 14 May 1829. The L&M opened to passengers on 15 September 1830 and was an immediate success. Less than a year later on 2 June 1831 the K&LJR, opened. A passenger race day excursion from Bolton to Newton ran over the line on 2 June 1831 and public passenger services began on 13 June 1831. On 8 August 1845 the B&L, K&LJR and the L&M merged into the GJR. A year later on 16 July 1846 the GJR merged with the L&B to form the London & North Western Railway (LNWR). Pennington first appeared in the public timetable in June 1846. It opened as Bradshaw Leach and was located on the south side of the St Helens and Leigh road which passed over the line on a bridge. At the time of opening the line was a single track railway the station being on the east side of the line. Booking and waiting facilities were within single-storey brick building under a pitched slate roof carried forward a short distance to provide shelter. The March 1850 timetable showed four down (Kenyon Junction direction) and six up trains (Bolton Great Moor Street direction) on Monday-to-Saturday. There were two trains in each direction on Sunday. A Third Class single fare from Bradshaw Reach to Bolton Great Moor Street was 8d (4p). On 1 September 1864 the LNWR opened a line from Pennington to Tyldesley (which connected with the Wigan and Eccles line of the LNWR which opened on the same day). The junction between the Bolton and the Tyldesley lines was on the north side of the St Helens and Leigh road. The new line was double track and the section of the former K&LJR between Pennington and Kenyon Junction was doubled in time for its opening. Bradshaw Leach station was provided with an additional platform on the west side of the line. The original platform became the down direction and the new platform became the up (Bolton and Tyldesley direction). It was provided with a simple timber waiting shelter. A signal box was provided on the west side of the Bolton line just to the north of the road bridge. With the opening of the Tyldesley line Bradshaw Leach gained extra passenger services. On 1 February 1877 the station was renamed Pennington. There were many collieries in the area the nearest being less than a mile north-west of Pennington at Bickershaw. Bickershaw Colliery had a rail connection that ran northwards and connected to the Wigan and Eccles line at Bickershaw Junction. The LNWR wanted to make a connection to the colliery from the south and in 1879 they obtained an Act to build a one- mile railway from Pennington to Plank Lane which would connect with the Ackers Whitley Branch. The Ackers Whitley Branch connected to the LNWR Eccles and Wigan line at Bickershaw Junction line. In 1881 the LNWR obtained an Act allowing them to take over the Ackers Whitley Branch. In 1883 work began on the new line and bringing the former Ackers Whitley Branch up to main line standards. The 3½-mile route between Pennington South Junction and Bickershaw Junction opened on 9 March 1885. Its junction with the former K&LJR line was just to the north of the Tyldesley line junction. Effectively, Pennington became a double junction. A new signalbox was provided in 1883 on the east side of the Bolton line just to the north of the Tyldesley line junction. It was an LNWR Type 4 box of size F. The signal box was equipped with a 32 lever Tumbler frame. The December 1895 timetable showed 15 up (Bolton or Tyldesley direction) and 19 down (Kenyon Junction direction) trains on Monday-to-Saturday. Nine of the up trains went to destinations via the Tyldesley line and nine of the down trains had come from that route. On Sunday there were three trains each way. All of the Sunday trains ran via the Tyldesley line. In 1899 the Pennington Junction signal box was renamed as Pennington Junction Number 1. On 2 June 1903 the LNWR opened a connecting line between the Bickershaw and Tyldesley routes. It ran to the north of the junction passing over the Bolton line. The original junction to the north of the station became Pennington South junction (the signal box being renamed as such in 1902). The point at which the new avoiding line connected to the Bickershaw line became Pennington West Junction and where it connected to the Tyldersley line was Pennington East Junction. 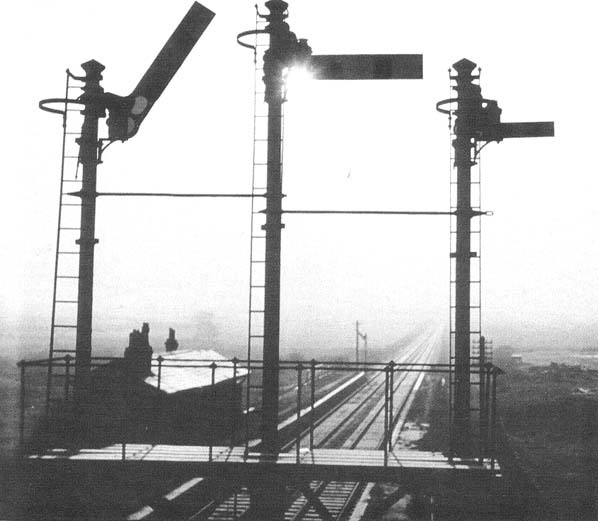 Signal boxes were provided at both junctions. The July 1922 timetable showed 19 up and 24 down trains on Monday-to-Friday. On Saturday there was an extra up train. Over half of the services ran to, or originated from, the Tyldesley line. No trains called at Pennington on Sunday. On 1 January 1923 Pennington became part of the London, Midland & Scottish Railway (LMS). The LMS timetable for the summer of 1932 showed an intensive passenger train service on Monday-to-Saturday as seen in the table below. No trains called at Pennington on Sunday. 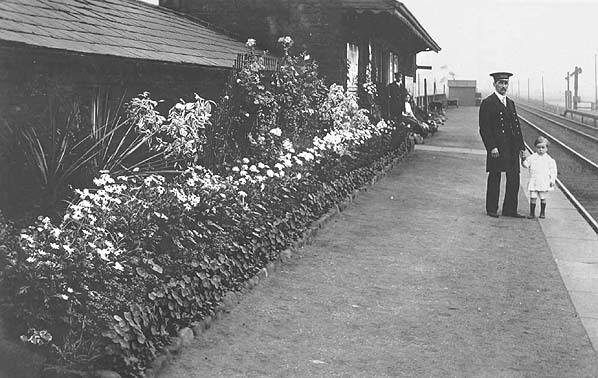 During the Second World War passenger services on the Bolton line were reduced and after the war they were not restored to the pre-war levels. The 1947 summer timetable showed 12 up trains on Monday-to-Friday and 15 on Saturday. In the down direction there were 13 trains on Monday-to-Friday and 15 on Saturday. By this time most of the services calling at Pennington were running between Bolton and Kenyon. On 1 January 1948 Pennington became part of British Railways [London Midland Region] (BR[LMR]). On 28 October 1953 BR[LMR] closed the Pennington East Junction and Pennington West Junction line (it had been used by regular passenger trains between 1 October 1903 and 4 May 1942 and by excursions and specials until closure). The summer 1953 timetable showed 11 up trains on Monday, Wednesday and Friday. There were 12 trains on Tuesday and Thursday and on Saturday there were 13. In the down direction there were 12 trains on Monday, Wednesday and Friday. On Thursday there were 13 and on Saturday 16. On 29 March 1954 BR[LMR] withdrew its regular services to Bolton Great Moor Street and Pennington station was closed completely. In the summer months holiday trains continued to travel to and from Bolton until June 1958. On 17 June 1963 the line between Pennington South Junction and Howe Bridge North Junction was closed. 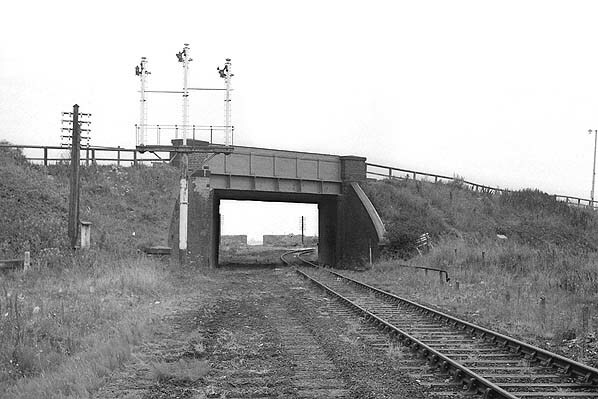 The Bickershaw line closed on 13 September 1965. The junction was removed and plain line was installed in its place. Pennington station was demolished in the mid 1960s. Passenger and goods services via the Tyldesley line continued to pass through Pennington until 3 May 1969 when it was closed completely. Track-lifting had been completed by 1970. 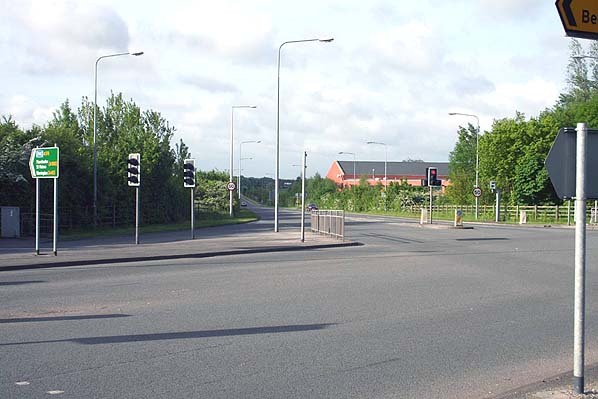 In the 1985 a road, the A572, was built along the former K&LJR sweeping away all traces of the railway. 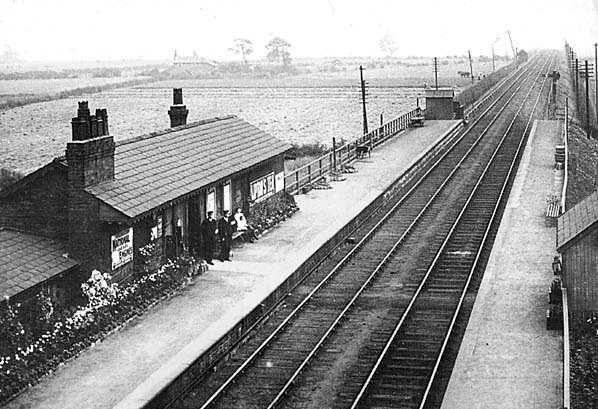 Pennington station looking south from the St Helens and Leigh road in 1912. Pennington station shown on a 6-inch scale map from 1864 when it was still called Bradshaw Leach. The junction between the Bolton and the Tyldesley is seen to the north of the station. The Tyldesley line and the route to Kenyon Junction are shown as double track. The line going north to Bolton is single. Pennington station shown on a 6-inch scale map from 1891. A double junction had been created by this time with the opening of the line to Bickershaw Junction. Pennington station and Pennington South Junction shown on a 25-inch scale map from 1905. The Leigh and Haydock tramway is seen passing over the line on the road overbridge. The complex arrangement of lines and junctions at Pennington seen on a 6-inch scale map from 1905. The station is seen at the bottom of the map. Going off to the west is the Bickershaw Junction line (click here to see a photo and a map of Pennington West Junction). Going east is theTyldesley route (click here to see a map of Pennington East Junction). Two railways head north, the Bolton Great Moor Street line and the Westleigh colliery line. A view looking south at Pennington station from the road overbridge in the early months of 1963. The down line signal gantry dominates the view. The signal arm to the left, which is in the off position, indicates the Tyldesley line. The arm in the centre was for the Bolton line and the small arm to the right indicated the route to Bickershaw Junction. 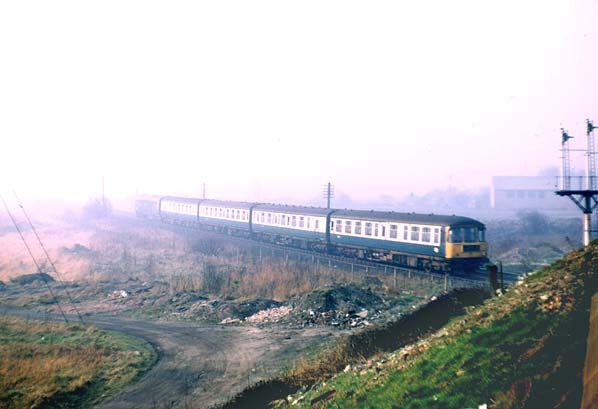 The site of Pennington station looking south on a foggy day in March 1969. The station had been demolished by this time. Passing through the station on its way to Liverpool Lime Street is a British Railways Trans Pennine DMU. The up line signal gantry minus its signal arms can be seen to the right. The Bolton line had closed on 17 June 1963 and the Bickershaw line (as far as Plank Lane) on 13 September 1965. Pennington South signal box which controlled the junction closed on 14 March 1966. Looking north from the site of Pennington station in summer of 1969. The line between Kenyon Junction and Tyldesley had survived until 3 May 1969. In this view the up line had already been lifted. The down line would follow within a few weeks. A view of the site of Pennington station looking south from the A572 road on 28 May 2006. The picture was taken from a similar viewpoint, but at a lower elevation, as the March 1969 view above. Nothing was left by this time to show that there had ever been a railway here.